Apr. is officially N.C. Beer Month! I’ve made it my mission as your Greater Raleigh Foodie blogger to drink at least one pint of N.C. beer every day in Apr. However, there’s more to N.C. beer than just raising your glass. There’s a lot that goes on behind the scenes in the beer world that the average person may not understand. So, I visited Chip Mims, Chief Executive Officer of Mims Distributing Company to do some investigating. 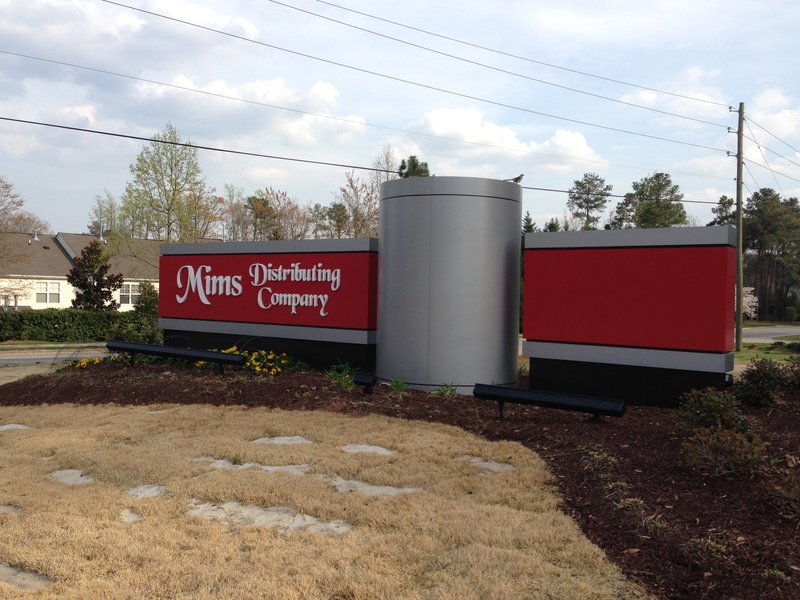 Mims Distributing Company is based in Raleigh and was established in 1964. Mims provides domestic, import and craft beer brands to licensed retailers in nine central N.C. counties, including Wake County. This locally owned and operated company has been recognized as one of the top distributors in the nation, receiving the prestigious High Life Achievement Award from Miller in 2007. Mims is also active in the local community and supports efforts such as the Walk for Hope and the Frankie Lemmon School. I entered Chip’s office located at the Mims Distributing facility on 8605 Ebenezer Church Rd. Superheroes lined the walls and bookshelves in Chip’s office, with a large portrait of Superman next to his desk. Chip is inspired by superheroes, which he believes are “better versions of ourselves.” I made myself at home in this newly-renovated, sustainability-focused facility. Chip told me that Mims has one of the largest private solar rooftop systems in Wake County, which offsets about 30 percent of the building’s energy needs. 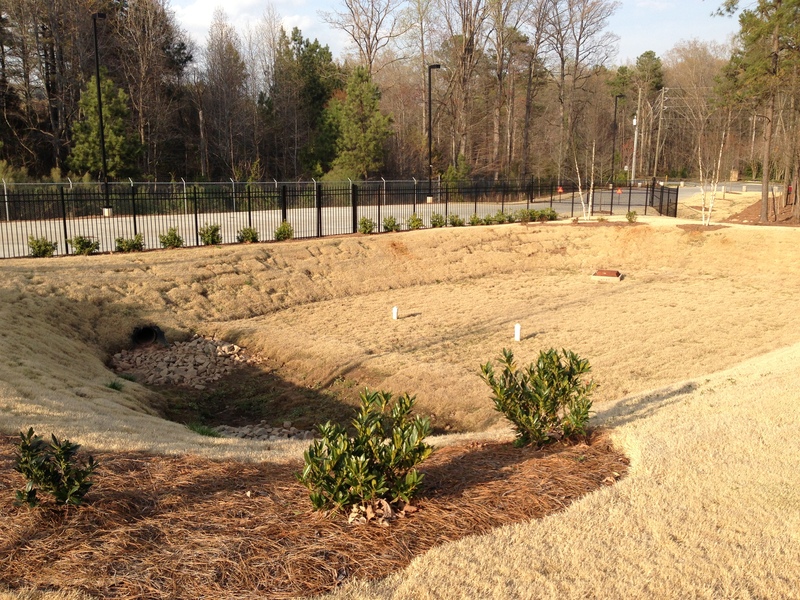 The facility wins many awards for its many sustainability features, such as the retention pond pictured below. 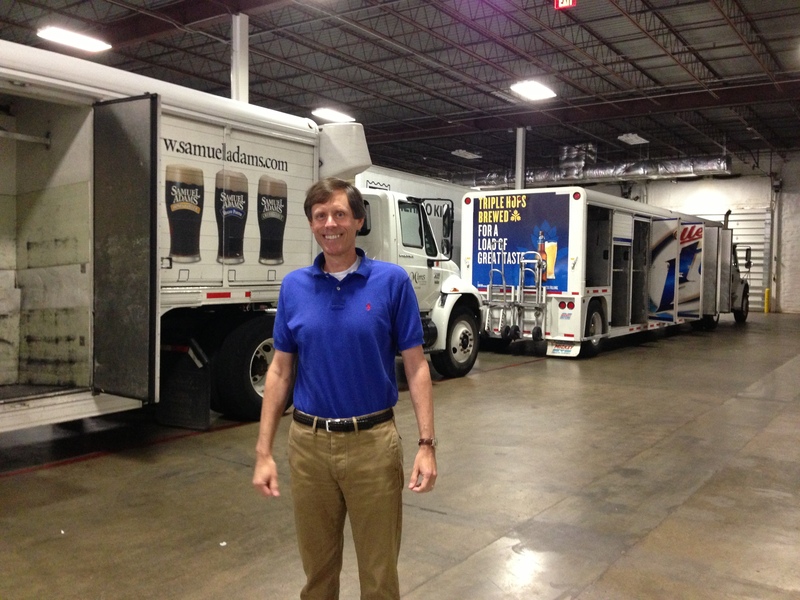 The total economic impact on N.C. from its 78 beer distributors annually is valued at more than $1.3 billion, including more than 9,000 jobs paying more than $514 million in wages. 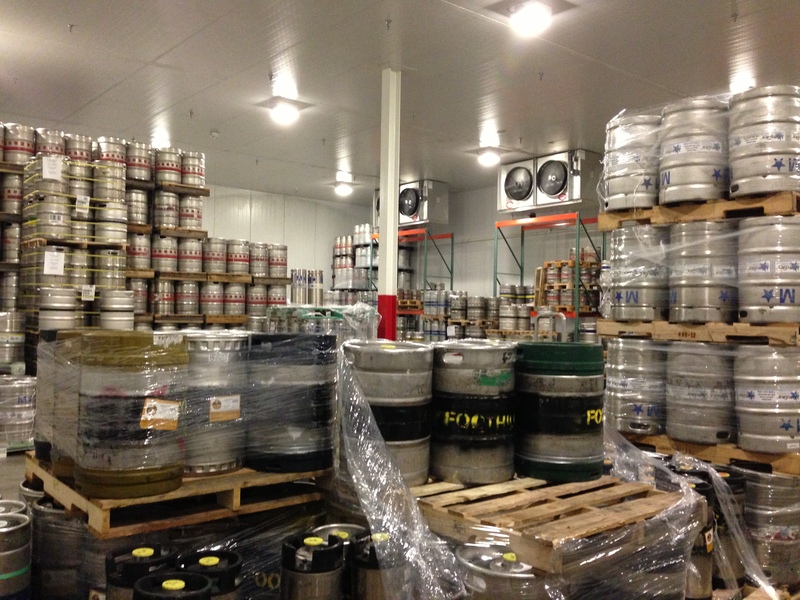 The efficiency of N.C.’s wholesale beer distribution process (transportation, transactions, marketing and consumer choice) produces more than $607 million annually in added economic benefits to the state. The annual total taxes collected in NC by federal, state and local governments from beer distributors – more than $289 million – are sufficient to fund 12,069,026 teacher hours or to maintain 9,587 miles of highways in the state for a year. Chip also discussed the beer trends that residents and visitors of Raleigh can expect to see in the near future. He believes that more flavorful beers are here to stay. Many people also select beers while at a restaurant or bar because they recognize particular craft breweries. N.C. beer drinkers embrace this diverse industry, which has attracted large breweries to establish a home in our state like Oskar Blues and New Belgium. Another trend that Mims has even bought into is growing your own hops. 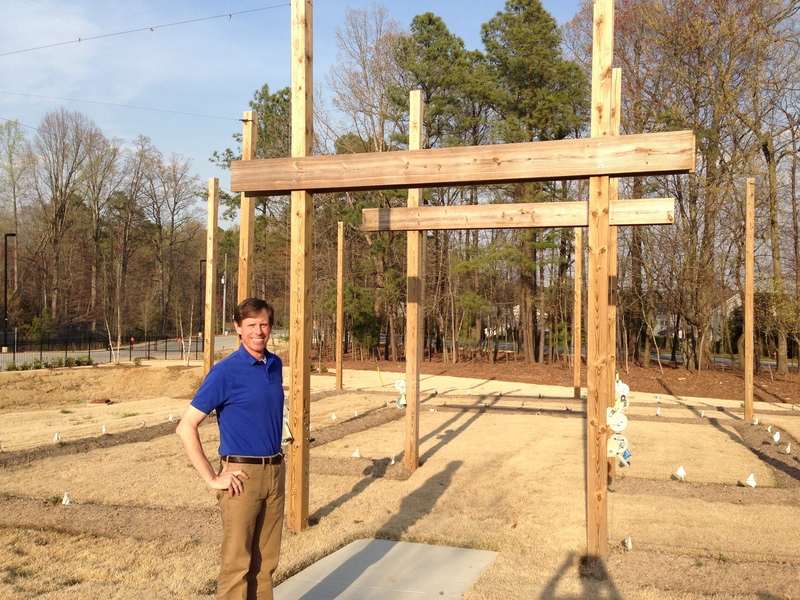 N.C. breweries have begun growing hops, which are used primarily as a flavoring and stability agent in beer. I’ve even seen hops growing on the walls at Big Boss Brewery in Raleigh! Chip was ecstatic to tell me more about Foothills Brewery. Mims is responsible for expanding the Foothills Brewery market and many of their beers are now available at retail stores throughout Greater Raleigh, not just at bars. Mims is a successful, locally owned business contributing to the economy of N.C. Chip Mims loves beer and encourages you to drink N.C. beer to celebrate N.C. Beer Month this Apr. Anyone can get a feel for what Mims does by checking out their website as well as their Facebook and Twitter pages. The sites are updated regularly with information about their brands and what’s going on at Mims. Mims reps are also out and about in Greater Raleigh at different events, and would be happy to answer any questions people have.